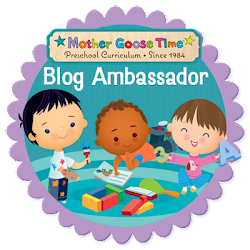 I can't tell you how overwhelmingly blessed I feel to be sitting down and writing this post. 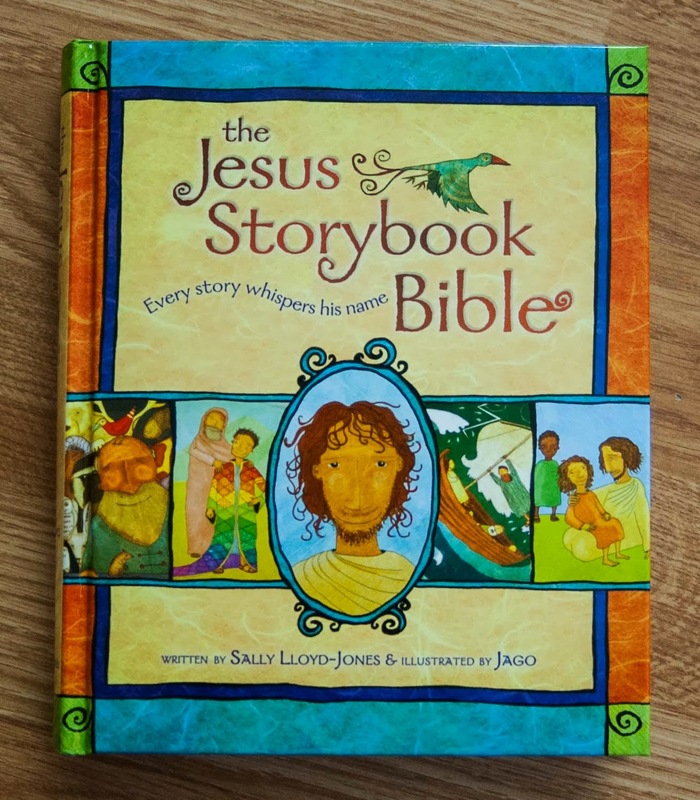 I have heard about the Jesus Storybook Bible for a while, and always good things. On Facebook I saw the advent calendar going around, where you could read one story each day as a build up to Christmas. Only one problem, I didn't have a copy of the book. So I told my Mother in Law about it. This is just the sort of thing they love to get for the boys and people are always asking for ideas. On Christmas Day, Lachlan opened his first present at Grandma and Grandpa's house and it just happened to be the Jesus Storybook Bible. Some children probably squeal at the idea of a new book, but not my almost 5 year old boy. He said thank you and asked for another one, another present that is. But I was excited! I cracked it open to the first story in the series of 3 that cover Jesus' birth. I started reading with as much excitement in my voice as I could muster with my voice being half gone from a cold. The boys strangely, started listening. Again, this was Christmas day and they were surrounded by presents. That was the moment I knew there was something special about this book and the way it is written. In the 5 years that I have been a Mother I have received all sorts of Children's Bibles. But I have always been a bit disappointed. I think it is important for my children to know the stories of the Bible. There is great value in the lessons they teach, but the lessons are sometimes hard for even me to pull from the stories. I kept on thinking in the back of my mind that there has to be a Children's Bible out there that ties these stories to the love of Jesus and the relationship we can have with Him. The relationship with Him, seems to be what is almost instinctual to a child, but still needs to be cultivated to grow deeper in it's understanding. I am so glad, that I can now say, I have found that Children's Bible. A few days after Christmas I got on the Jesus Storybook Bible Facebook page and wrote a little note of thanks. These were my words. I had heard that this was a good Children's Bible. I told my Mother in Law about it and she got one for my oldest son for Christmas. As soon as it was opened on Christmas day I turned to the "He's Here!" Story of Jesus' birth. I was blown away! This book is written in the language of my children. Exactly how they would want to hear it and how they would say it if they were telling the story themselves. 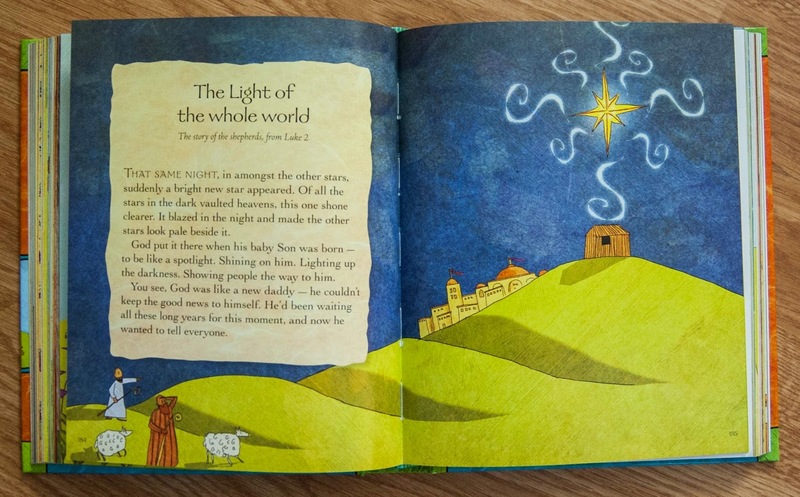 My son, has told me repeatedly since that day that God put the star in the sky, referring to the story "The Light of the whole world" and the shepherds coming to see baby Jesus. It is so precious to me, that through these stories, my son can draw a deeper understanding of God. 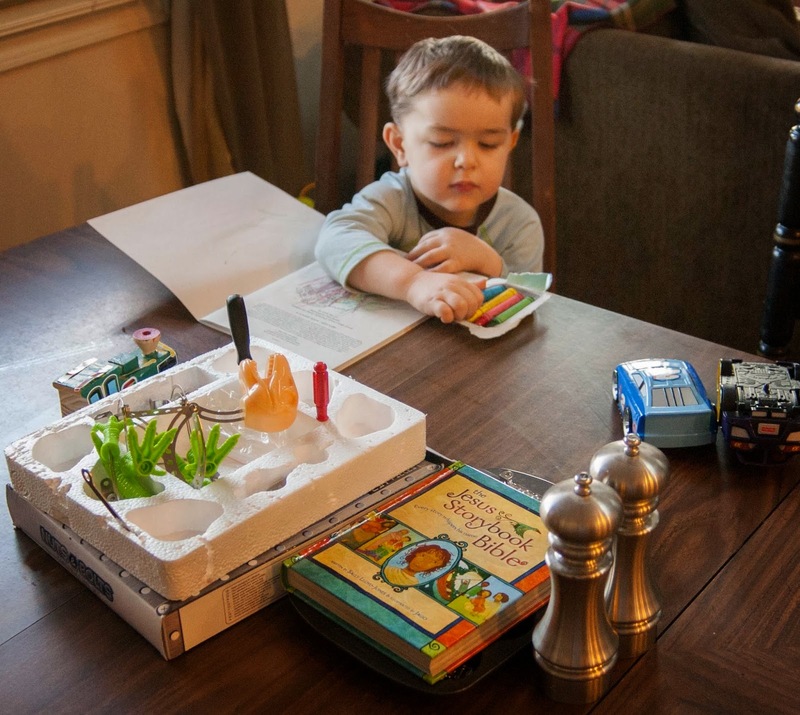 The Jesus Storybook Bible now sits on our dining room table. We have been enjoying a story each time we sit down for a meal. As my son now says, "God is Awesome." He certainly is. From my post, you can probably tell the other points I want to make about this book. I will expand on them a bit, but hopefully not too much, as I know you are probably busy and struggle through long posts as I sometimes do. First of all the wording is extraordinary. Here is a clip from the same story I mentioned above "the Light of the whole world" when speaking of the star in the sky the shepherds would follow. You see, God was like a new daddy - he couldn't keep the good news to himself. He'd been waiting all these years for this moment, and now he wanted to tell everyone. So he pulled out all the stops. He'd sent an angel to tell Mary the good news. He'd put a special star in the sky to show where his boy was. And now he was going to send a big choir of angels to sing his happy song to the world: He's here! He's come! Go and see him. My little Boy. Some of the vocabulary that stands out to me is the word spotlight, Daddy, and He put a special star in the sky to show where his boy was. I have boys, so I am familiar with things that will catch their attention. The word spotlight certainly will and it did. That's where they got hooked. Then Sally Lloyd - Jones, hooked them again by calling God a proud new Daddy. These are words they know, hear and use. Lastly, she simply writes that God put this special star in the sky to show everyone where his boy was. Boy being another word that will stand out to them and stands out to me. That's what their Daddy calls them, his boys. When I read this part of the story I immediately could picture Gods all powerful hand simply hanging that star in the sky like hanging a Christmas ornament on a tree. I then drew the comparison to the star we put on top of our Christmas tree. "That's why we put a star on our tree, to remember the star God put in the sky when Jesus was born." To keep my boys focus there has to be these hooks, these moments through out the story that grab their attention and start a conversation. I have not read any of these stories straight through with out a pause for conversation. We always stop along the way, and there are many points, in each story, that flow beautifully and flawlessly into questions from the boys or prodding from me with examples and yet more questions. Here is the books new home. Amongst the chaos of projects and toys that come and go at the table. The Jesus Storybook Bible is now a permanent fixture. Since Christmas Day, this book has been sitting on our dining room table. My children request for me to read a story from the "big book" every time we sit down at the table, with excitement in their voice. The stories are captivating to them for the first time. The best part is, the premise of the book is that every story whispers His name. They tie Jesus and the Gospel message into every story. 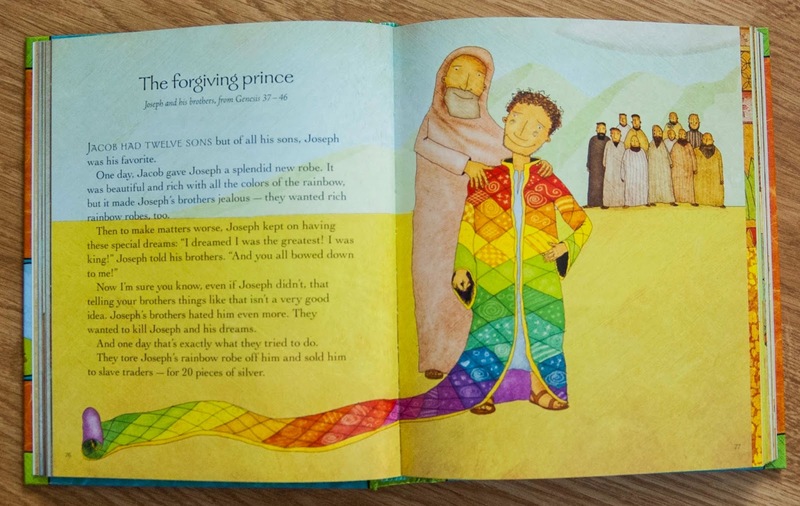 Here is an example from the end of the story of Joseph called "The forgiving prince". One day, God would send another Prince, a young Prince whose heart would break. Like Joseph, he would leave his home and his Father. His brothers would hate him and want him dead. He would be sold for pieces of silver. He would be punished even though he had done nothing wrong. God would use everything that happened to this young Prince - even the bad things - to do something good: to forgive the sins of the whole world. "Who do you think they are talking about?" I always ask. "Jesus" Lachlan replies. There it is, a perfect lesson about Jesus, how much he loves us and the Gospel message, tied right into the Old Testament scripture of Joseph. After spending time in this book with my children, I got this overwhelming desire to first, tell people about it and second, see if I could give one away. So, this little fish sent a message to the big fish to see if there was any way I could do a giveaway. I was blown away when I got a yes! I am not receiving anything for writing these words. But Zonderkidz has graciously agreed to sending one of you, your very own copy of The Jesus Storybook Bible. My prayer is that whomever receives this free copy, is blessed as I have been, to see the excitement over God's word and Jesus' love grow abundantly in the hearts and minds of their children. The winner is Sandra Marie. Thank you to all who entered! Just like you, I've been in search for something with just the right wording for the kids. So cool that you found this! It really is amazing Amber. Yesterday at lunch, Lachlan brought up the fact that Jesus is in his heart. I said yes, he is there because you prayed and asked him to be, but Peter and Lucy haven't asked him to be there yet. Of course they said "but I want to." I didn't want them just to want to in response to that statement so I continued on with reading 2 stories, as requested by the kids, from the Jesus Storybook Bible. Still Lucy and Peter wanted to pray and ask Jesus into their hearts. I figure, why not, they may not fully understand, but I know God will honor their request and open their hearts to a deeper understanding of Christ's love. So they each took their turn as I lead them in a simple prayer. With their eyes closed, hands folded and head bowed. I give a lot of credit to this book. Because of this book, Jesus has been our topic of conversation at every meal since Christmas. Not just saying grace, but learning more about Him, the stories of the Bible and Jesus' great rescue plan.